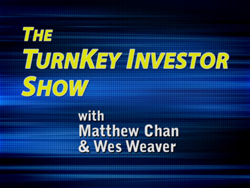 This is really a great little product by Matthew Chan and considering it is one of the very few audio programs available on Lease Options (where the prices are usually in the many hundreds), the price is simply great. 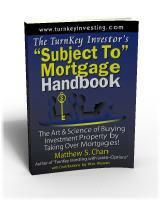 While Matthew’s book will give you the how to (how to buy, how to sell as a Lease Option to a buyer, etc) this gives you a glimpse of what it is like down at the street level. 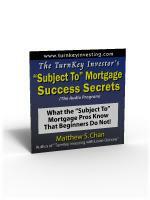 The how to’s are very important but if you want to win in the real estate game then street level is just as important and this CD provides that knowledge. 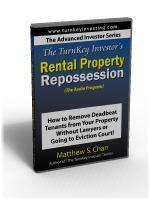 This CD also as an excellent primer if anyone is contemplating doing Lease Options. 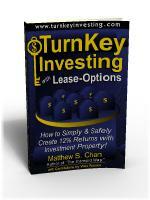 And at this excellent price it is a way of seeing whether Lease Options would suit your investment strategy. It provides the keys to success which many beginners don’t focus on, and which can create problems latter on. 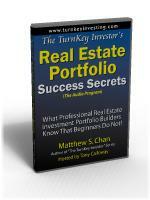 A fantastic Real Estate audio resource. What more can you say. I mean this arthor has outdone himself again with dropping a audio cd. This cd is great for people who are on the run and just dont have time to read a book. THis program Shows some secert inside information that matthew and his business partner have used to create the sucessful business they have know. If you are just starting out and want some inside info. Then this cd will be for you. The only real difference between a beginner and a pro is experience and knowledge. Matthew takes the time to actually share these little known secerts with the listenings of this program. I review this cd every once in a while to refresh my mind and get the ideas pumping. While buying this cd will not make you a pro. 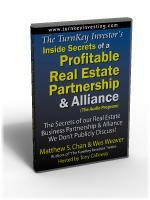 it will arm you the mental weapons needed to take your investing and business to the next level. 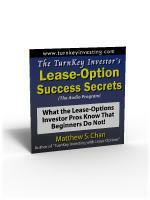 In this CD, Matthew shared his 5+ years of experience in running the lease option business. It is filled with applicable, street-smart, no none sense approach of doing lease-option whether you are an active or passive Lease-Option investor. I wish I had listened to this CD when I did my first Lease Option as an investor. It would avoided many of the mistake I made. Matthew shares with the audience of his 8 success secrets of doing lease-option. Learn why lease-option is a better way to invest in real estate compare to the traditional rental.